On May 4, 2015, fashion’s elite walked the red carpet at the Metropolitan Museum of Art’s annual Costume Institute Benefit, known to the world at large as the Met Ball. “The Party of the Year”—generates millions of dollars for the institute’s popular exhibitions. Irene Lewisohn, heiress and philanthropist who spent much of her time in the theater, together with American costume designer Aline Bernstein founded the Museum of Costume Art in 1937. Lewisohn’s own closet of costumes was the starting point. Today collection contains more than thirty-five thousand costumes and accessories represents five continents and seven centuries of fashionable dress. 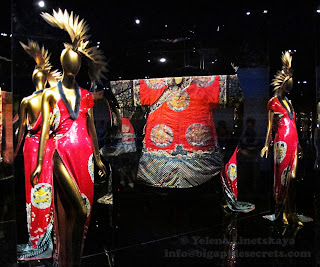 In 2008, the American Costume Collection of the Brooklyn Museum merged into the Costume Institute. Prior to the move, 23,500 objects from the Brooklyn collection were digitized and these images are now shared by both organizations. 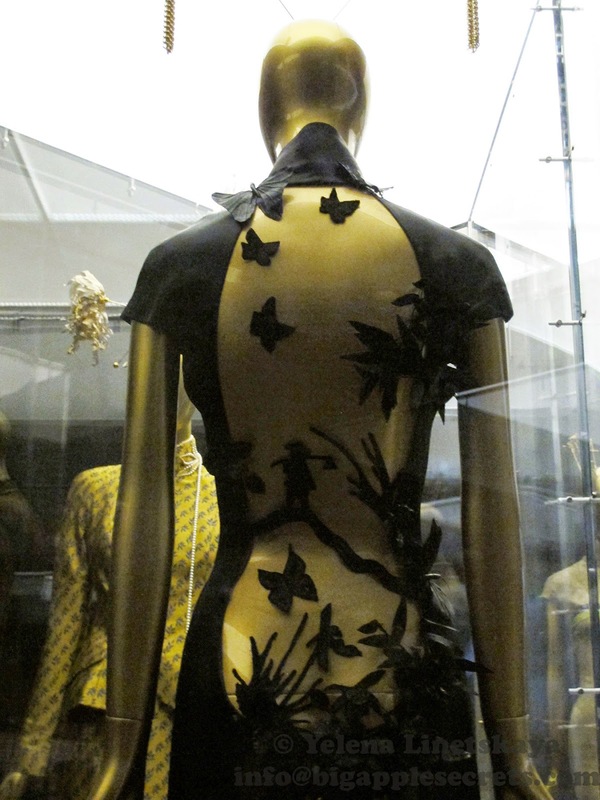 At the time of the merger, the Met costume collection consisted of 31,000 objects from the 17th-century onwards. The collection of the Brooklyn museum is older, having been formed from private donations by former New York high society personalities. 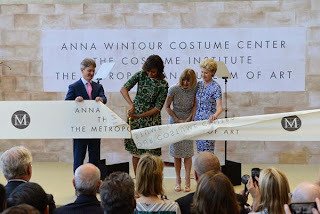 In May 2014 Anna Wintour Costume Center in Metropolitan museum, that now houses the collection of the Costume Institute, was formally opened by Michelle Obama. 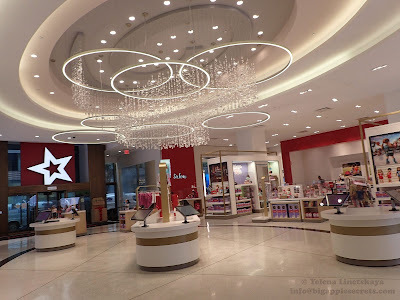 Many famous people, such as Sarah Jessica Parker, Diane Von Furstenberg, Tory Burch, Zac Posen, Ralph Lauren, and Donatella Versace, were at the center's opening. The opening exhibition in 2014 featured work by British-born designer Charles James, an important figure in New York fashion of the 1940s and 1950s. 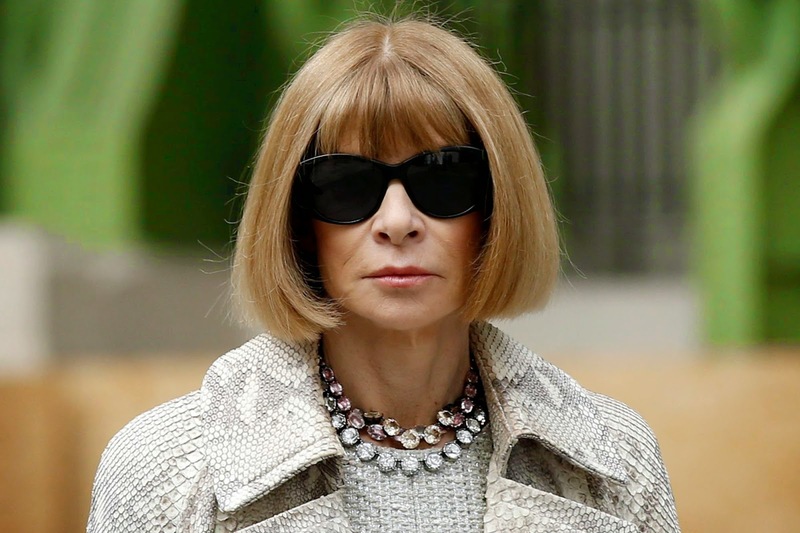 Fashion icon Anna Wintour is best known as the editor-in-chief of Vogue magazine, and for her iconic pageboy haircut and large sunglasses. Anna was born in England in 1949. In 1988 she was named editor-in-chief of Vogue and moved to New York. One of Wintour's former assistants, Lauren Weisberger, wrote The Devil Wears Prada (2003), a fictionalized account of her days at Vogue. Her main character, played by Meryl Streep, was a demanding boss not unlike Wintour. Anna was chair of the Met museum's annual Met Gala since 1995. By the way, the ticket price for the first Met Ball in 1947 was $50. Compare it to the 2015 price- $25,000! 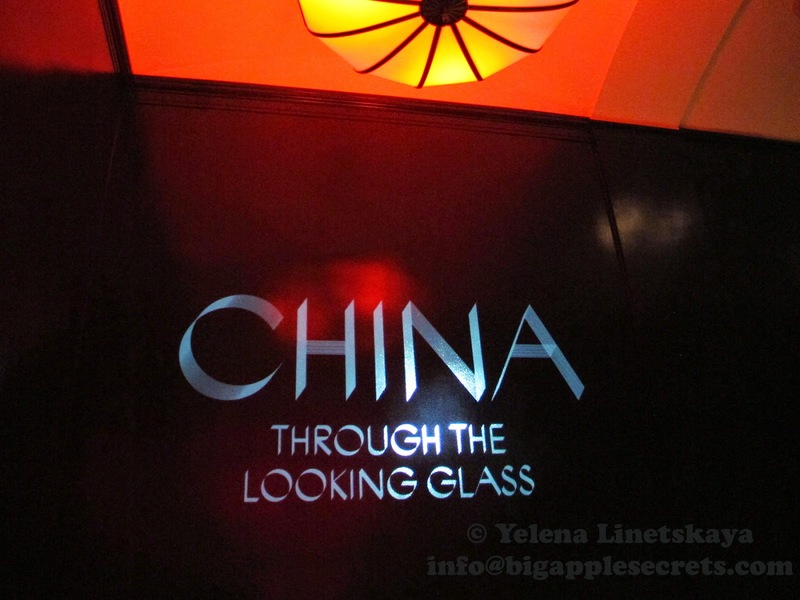 Three days after Met Ball on May 7, 2015 the new exhibition "China: Through the Looking Glass" opened in Anna Wintour Costume Center. The exhibition’s title is derived from Lewis Carroll’s Alice’s Adventures in Wonderland and Through the Looking-Glass, where Alice is transported to another world through a mirror—what she sees on the other side is a twisted perception of the truth. Metropolitan Museum of Art's latest exhibition focuses on the wide-reaching influence that Chinese art and film have had on Western fashion. Four months before the exhibition formally opens, the museum previewed the show in Beijing. 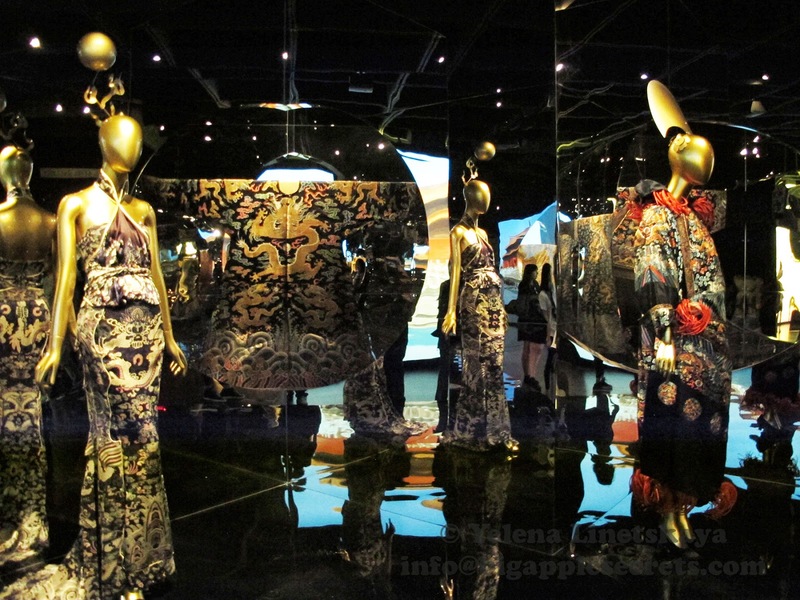 “China: Through the Looking Glass” compiles over 140 high-fashion pieces from Dior, Chanel, Yves Saint Laurent, and more, alongside their one-of-a-kind Chinese inspirations: ornate 15th century jars, ancient writing, and royal court apparel. At a press conference Andrew Bolton, the curator of the Costume Institute, said that Western designers have embraced Chinese influences from art and film for centuries, though they don't always fully understand them. These designers have adopted inspiration from Chinese calligraphy, textiles, crafts and more, while taking plenty of liberties with them, imbuing them new layers of meaning. It's this creative process and the interplay between East and West, art and fashion, and the old and new that are at the core of the exhibition, which is intrinsically aware of its cultural appropriation throughout. I visited the exhibition and it was stunning! 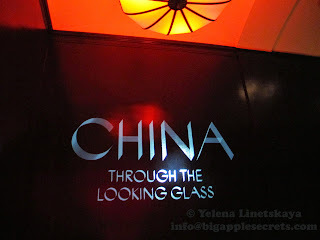 With the use of reflective surfaces; cinematic lighting; and a winding, mazelike format, artistic director Wong Kar Wai and production designer Nathan Crowley have created a truly immersive experience.